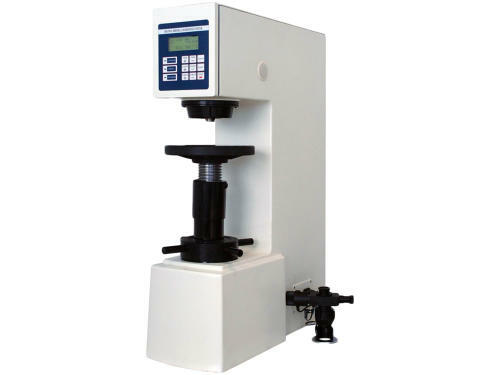 An affordable Brinell Hardness Tester replacing traditional weights with a pressure sensor. 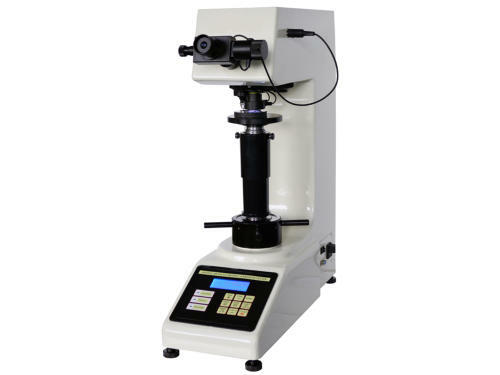 It is used in conjunction with a x20 measuring microscope. ten load forces from 62.5 kg to 3000 kg. 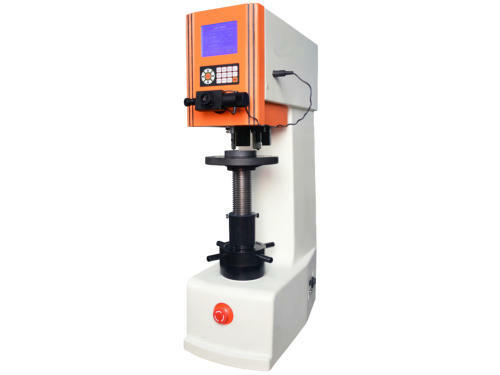 An intelligent Brinell Hardness Tester replacing traditional weights with a pressure sensor. It is used in conjunction with a x20 digital microscope. Ten load forces from 62.5 kg to 3000 kg. The operator points the microscope and takes readings D1 and D2 . The hardness is automatically calculated. 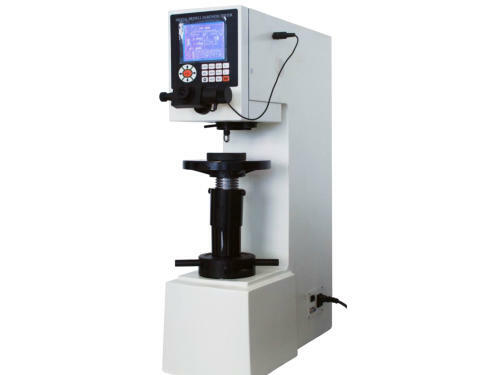 A semi automatic Brinell Hardness Tester replacing traditional weights with a pressure sensor. It is used in conjunction with a x20 digital microscope. Ten load forces from 62.5 kg to 3000 kg The operator points the microscope and takes readings D1 and D2 . The hardness is automatically calculated offers conversion to other scales HRC.HRB.HV etc. Brinell Hardness Testers supplied by Midland Metrology are issued with a 12 month warranty for complete peace of mind. A semi automatic Brinell Hardness Tester replacing traditional weights with a pressure sensor. It is used in conjunction with a x20 digital microscope. ten load forces from 62.5 kg to 3000 kg There are three indenters 2.5/ 5/ 10 mm Automatic switching between indenters and lenses, depending on scales chosen. Our commitment to you does not end once you have bought a Hardness Tester from us. We can offer service and calibration contracts to ensure your Hardness Tester is maintained in first class condition. Please contact us for further details. 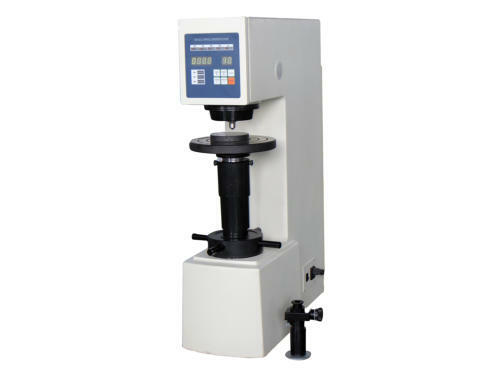 An economical low load Brinell Hardness Testing machine with seven weight selections. From 5kg to 62.5 kg. 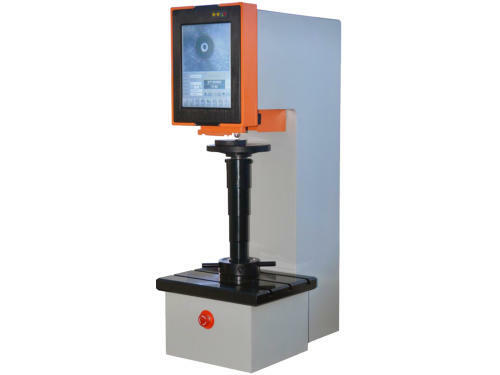 An advanced touch screen Brinell Hardness Tester with Ten weight selections from 62.5 kg to 3000kg Fully automatic with digital display.